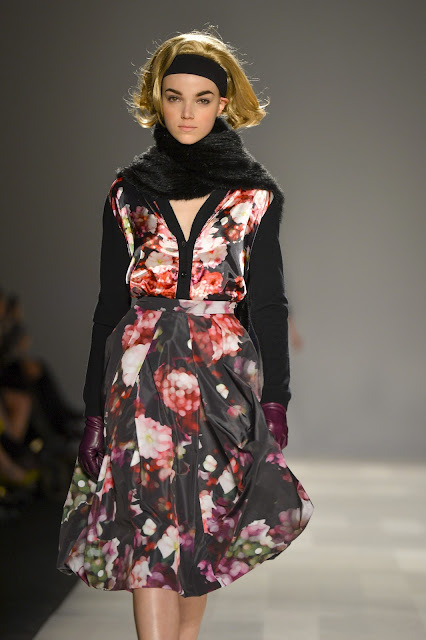 Canadian fashion label Pink Tartan presented their fall/winter 2013-2014 collection on Monday during Toronto Fashion Week. The 1950’s Hitchcock’s women seem the inspiration for this collection. All the models worn a blonde wig that seems reminiscent of Hitchcock’s blonde ice queens and clothes are all modern interpretation of 50’s women’s tailoring.